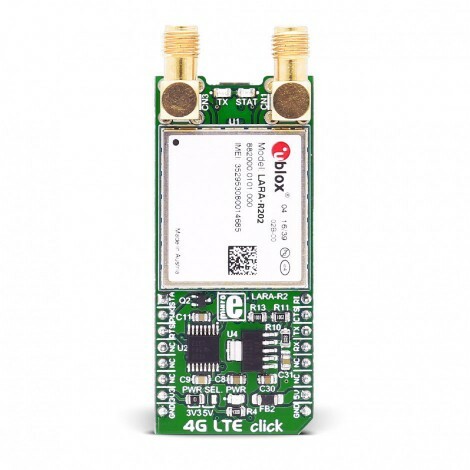 4G LTE-AT&T click is an LTE Cat 1 / UMTS multimodecellular network solution, featuring the compact LARA-R2 series modem from u-blox. 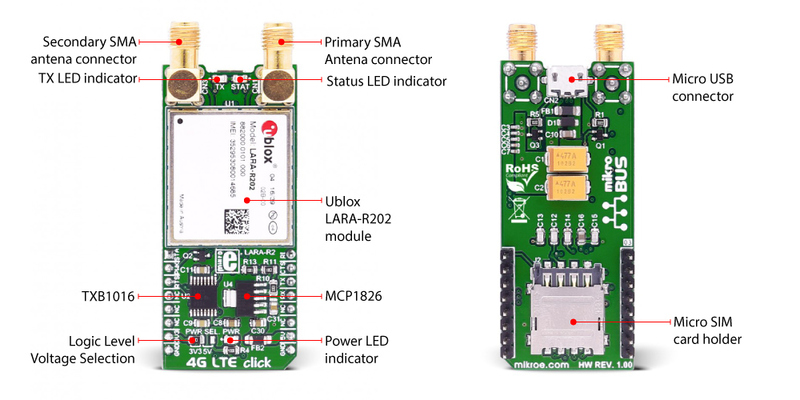 This module supports up to four LTE bands and up to two UMTS bands. It also features a full range of options for the high speed cellular networking and communication, such as the network indication, full embedded TCP/UDP stack, HTTP and HTTPS transfer protocols, IPv4/IPv6 dual-stack support, secondary antenna for the RX diversity, antenna detection, jamming signal detection, embedded TLS 1.2 protocol for the improved security and more. 4G LARA click can achieve data rates up to 10.3 Mbps/5.2 Mbps (downlink/uplink). The LARA-R202 module is fully qualified and certified solution which simplifies the design and cuts time to market. 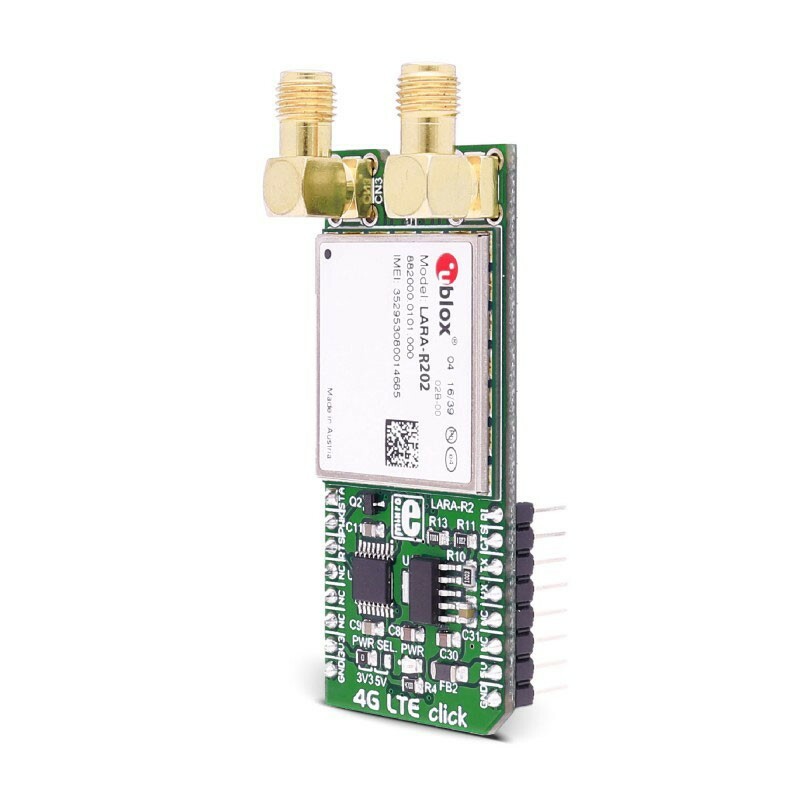 It is perfectly suited for a wide range of medium to high-speed M2M applications, such as the smart energy gateways, remote access video cameras, digital signage, telehealth, telematics, and similar applications which rely on a cellular network connection. 4G LTE click is equipped with the compact LARA-R2 series modem from u-blox. There are several click boards which covers different regions using different modules, as: North America - Verizon featuring LARA-R204, North America – AT&T featuring LARA-R202, Asia Pacific featuring LARA-R280, Europe featuring LARA-R211. 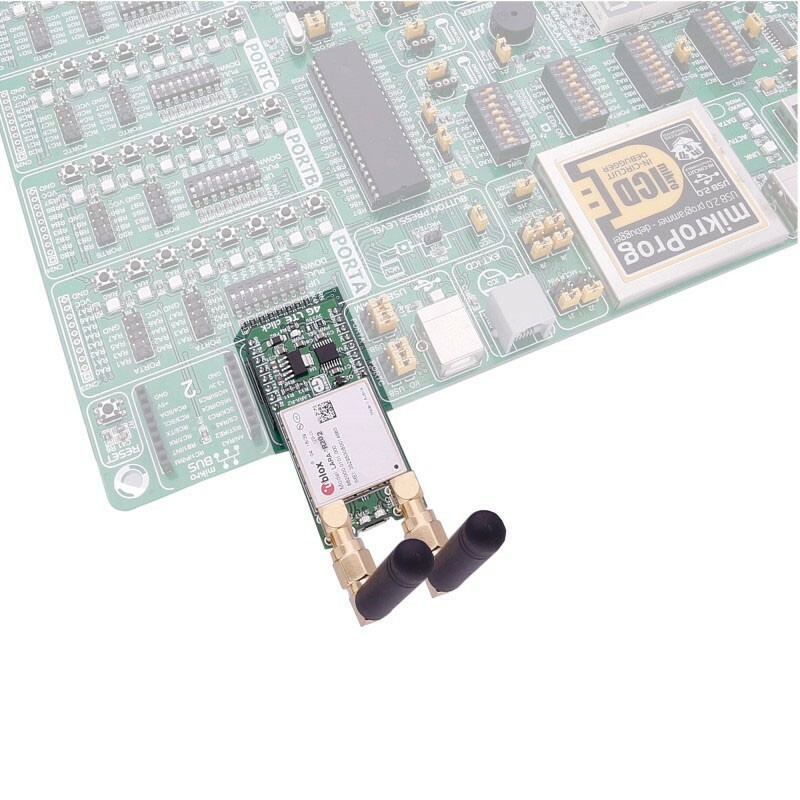 The main difference between these modules are the supported frequency bands, compliant with the regulations for each region. 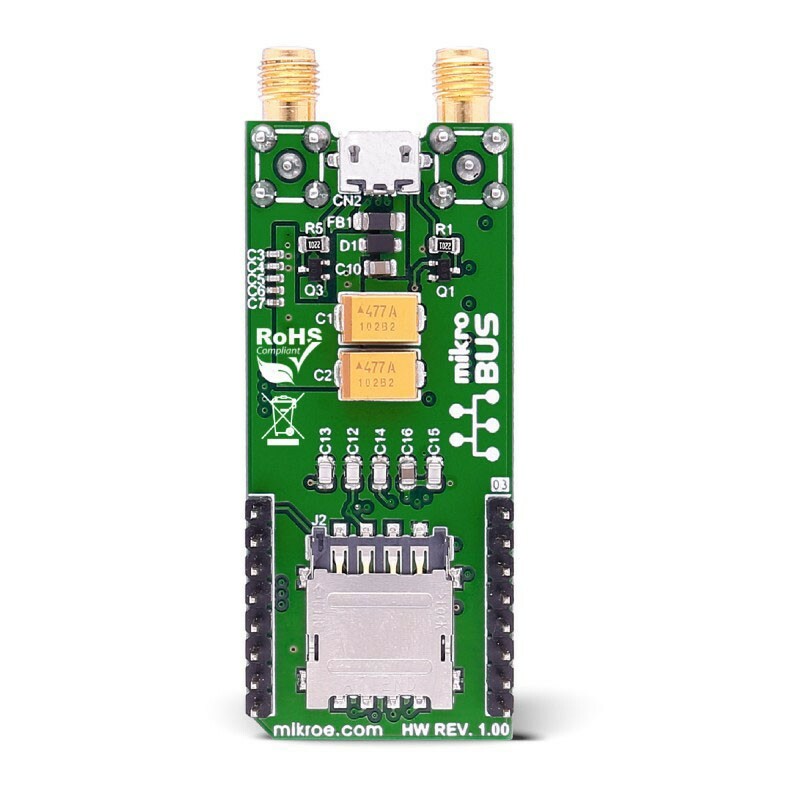 A complete list of supported bands for each module, along with other relevant info about the module itself, can be found in the LARA-R2 series modem datasheet. This table shows how the pinout on LTE-AT&T click corresponds to the pinout on the mikroBUS™ socket (the latter shown in the two middle columns). 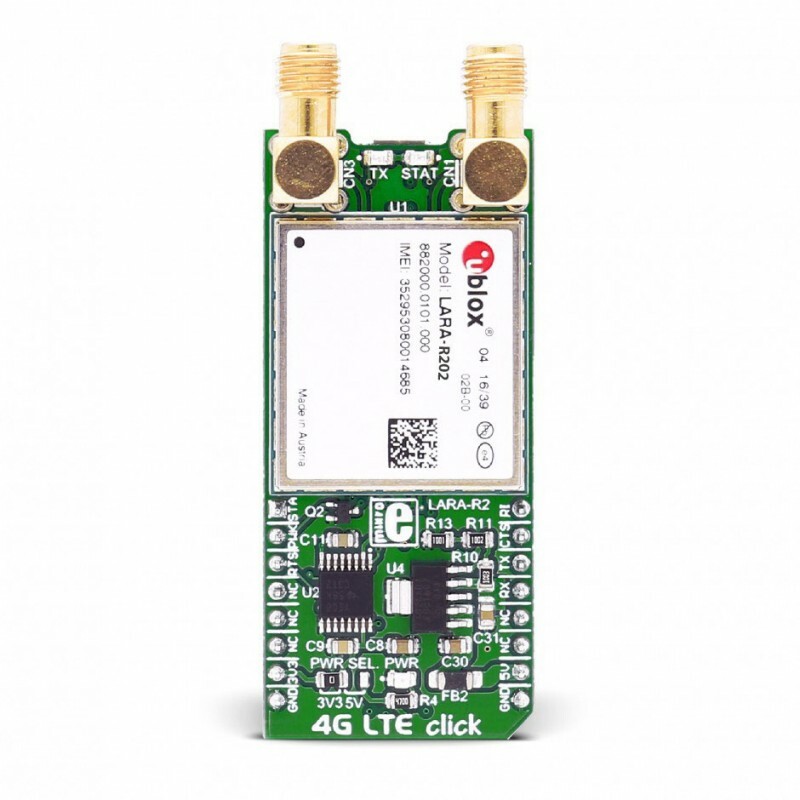 We provide a library for 4G LTE-AT&T click on our Libstock page, as well as a demo application (example), developed using MikroElektronika compilers and mikroSDK. The provided click library is mikroSDK standard compliant. The demo application can run on all the main MikroElektronika development boards.